Our WORLD TOUR OF SEVERAL AMERICAN CITIES kicks off this Friday November 13th in Los Angeles with William H. Macy, Matt Walsh, Brian Huskey, Chicano Batman and Baron Vaughn - get your tickets now! Plus check us out in Boston, Brooklyn, Manhattan, Philly and DC with guests Barney Frank, Mission of Burma, Tavi Gevinson, David Cross, John Hodgman, Joel Hodgson, Ray Suarez, Dan Deacon and more. It's all at BullseyeTour.com. Don't miss it! Ethan Hawke is one of the rare actors that viewers have seen grow up in front of their eyes. They watched him as a teenager in the films Explorers and Dead Poets Society, saw him as a young adult in Reality Bites and Before Sunrise, and even saw him change over the course of twelve years of filming his Oscar-nominated turn in the Richard Linklater film, Boyhood. Along with his work on-screen, he has also enjoyed success as a novelist with his books. His newest is a set of parables, inspired by Hawke's experiences as a parent, called Rules for a Knight. In it, a knight fears that he may not return from battle, and leaves behind a letter with important life lessons for his children. In the book, Hawke explores themes of honesty, courage, solitude and patience. 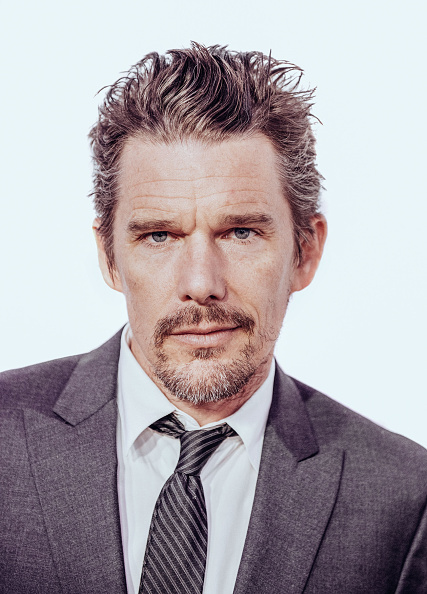 Ethan Hawke joins Jesse to share how life as a divorced father has influenced his work as an author and an actor, why child stardom was a double-edged sword, and how a favorite line from one of his films helped him to complete a marathon. Rules for a Knight is now available in hardback and as an e-book. Michaela Watkins is an actress who is in her element when she can go all-out for the joke. Whether she’s practicing sketch comedy as she did in her time with The Groundlings or her one-year stint on Saturday Night Live or performing on a sitcom like the Trophy Wife, Watkins creates characters that are both funny and memorable. Now, Watkins brings her wit to the lead role of Valerie Myers in the new Hulu series, Casual. In it, she plays a newly divorced woman who finds herself living with her adult brother, while learning to navigate the dating world as a middle-aged woman. Michaela Watkins joined Jesse to talk about how taking time for herself helped her to improve her relationships, the insane pacing of Saturday Night Live, and her contributions to Wet Hot American Summer: First Day of Camp. Casual is now in its first season on Hulu. You can find a bit of bonus audio from our interview with Michaela Watkins here. From the early days of rap, the role of the MC was an ancillary one. They were there to support the work of the DJ by keeping the energy level up. 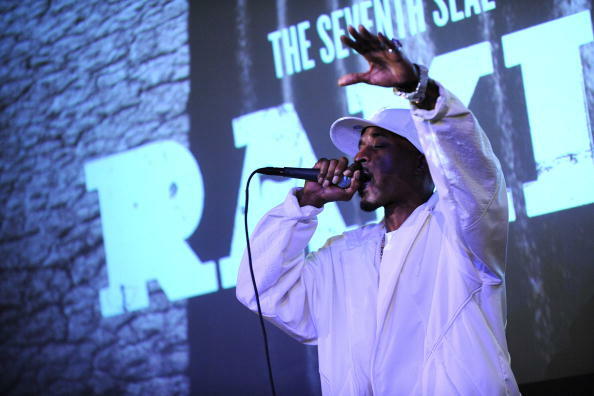 The rapper Rakim helped to change that by bringing the role of the MC front and center using a unique blend of words, music and an intoxicating beat.